There are currently 27,289 users on this website. 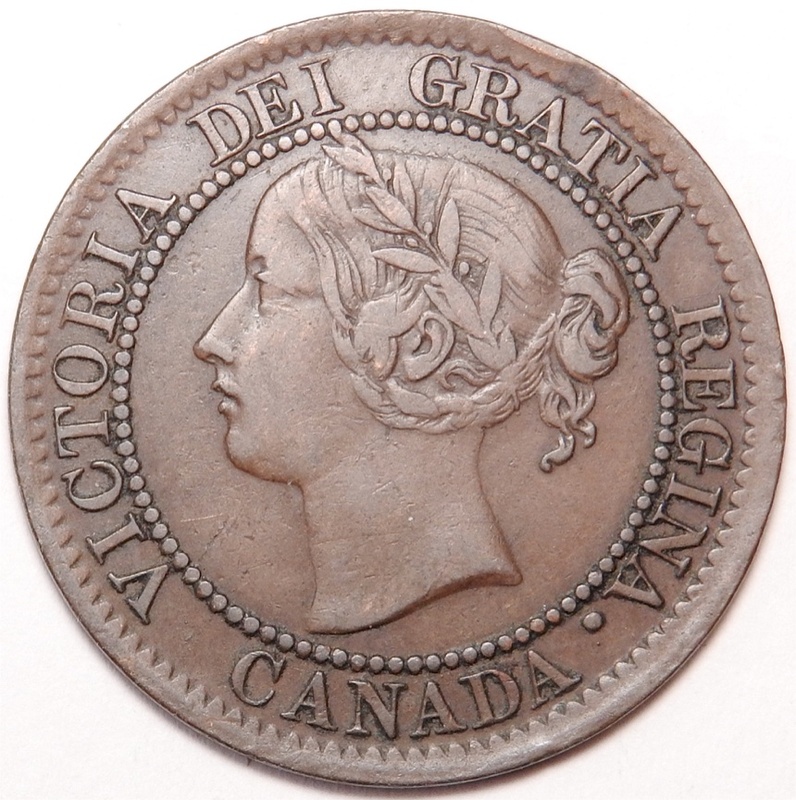 At the time Dr. Haxby opened Vickycent he had only come across one PC59-632, this is the only Group "M" coin Obv. 63 + Rev. M1. Now that the dust has settled are these still considered difficult to find or have they been easily found and everyone has one. Not really a lot to go on with this coin Bill, I guess leaf 9 + 10. 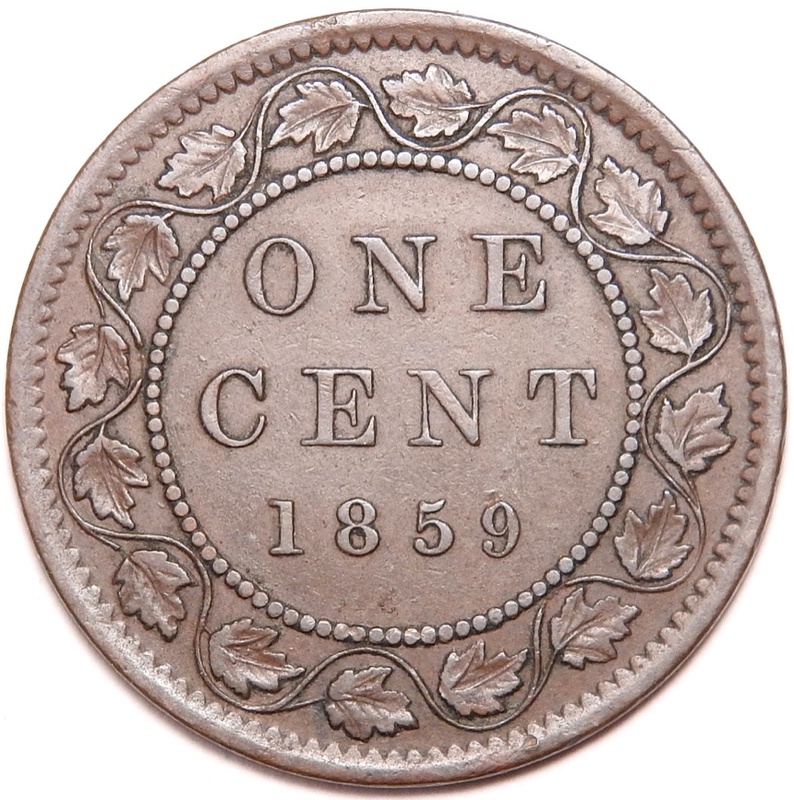 I don't have one but, I only purchase 1859's randomly in lots unless I target a said variety and that's usually the re-punched 9's. I'm going through my 59's again to re-number them as things are changing on the Haxby web site if one comes up I'll post it. Hopefully others will chime in and give you an idea of to your questions. The 632 is still considered to be one of the scarcer die pairs. That is a real nice one Bill. 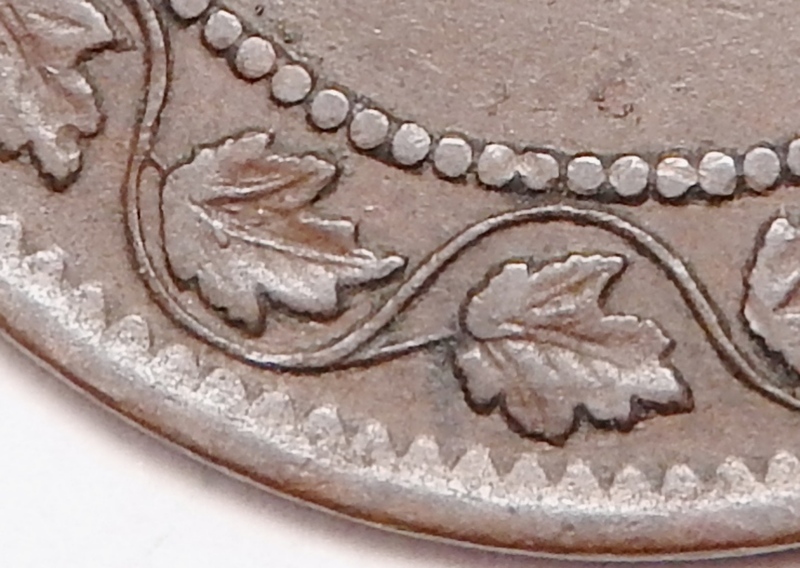 Your example is a nice enough grade to show the engraving slip at leaf 10 very well. Congratulations on finding one! Yours is particularly interesting as it is an early die state and the vine below leaf 10 is not clogged. All of the other examples I have seen of this reverse die have the clogged vine. Papeldog I don't look to acquire them all either but when the site first opened my first goal was to acquire at least one coin from each group. We certainly have different goals as I don't desire all the re-punched 9's at all. However I've Still managed to come across the DP #3 and a nice 9 over inverted 9. Thanks Phil310, I,ve looked for a better one and have not been able to find one in any grade. If it's of any interest your more then welcome to the pictures for the site. Thanks for the offer of the pictures Bill. I'll check to see if we can use any of them to help out the M1 page. There's all sort's of ways to collect the 1859's. When I first got interested in them, I just wanted the 7 repunched 9's listed in Charlton. But after I happened to find Dr. Haxby's website, I was hooked. My goal now is to find them all. I have spent way more time than I probably should have looking for them, but it's been fun and thankfully my wife is very understanding. About 115 different here but no 632. Saw one recently on ebay but it went for over $15 in vg-f so I let it go. I didn't know it was hard to find, so I guess I'll have to try higher if there's a next time. Here is a photo of the leaf 10 vine clog on the only 632 that I have. 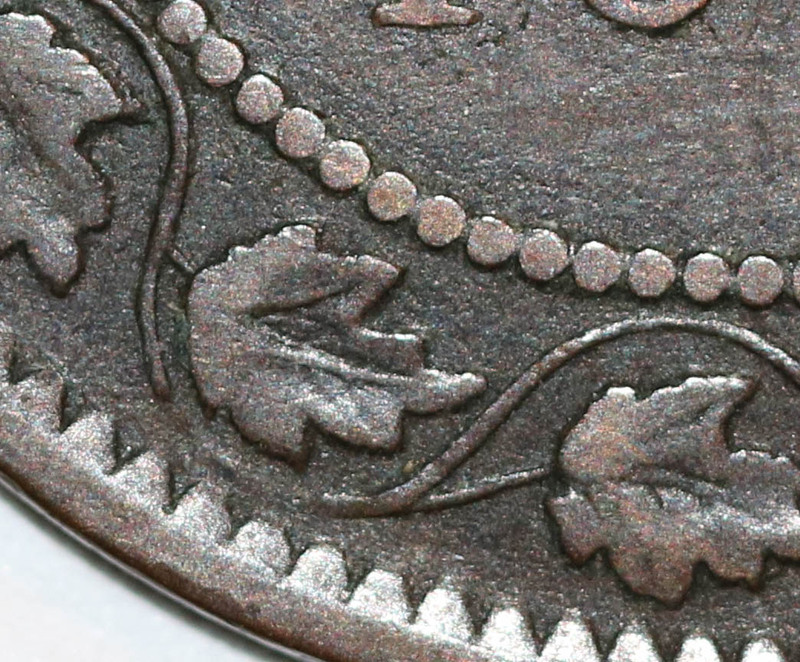 It's a good marker for lower grade coins where the engraving slip doesn't show up as well. My coin is also a later state than Bill's, so it has some die cracks to help. Sounds like you're making good progress with your collection TerryT. How long have you been working on a die pair set? As most of you know, I don't use the Haxby numbers .. it's the "old dog, new tricks" thing. Tell me what to look for in this variety and I'll look at my nearly 1000 for some. Here's a quick link to the reverse M1 page in the Haxby catalog showing the die cracks and other features to look for. Remember, Bill, I'm an older dog than you are! But, it's still OK not to use my catalog. Last I've heard no dogs of any age have been denied entrance to Heaven for not using it!